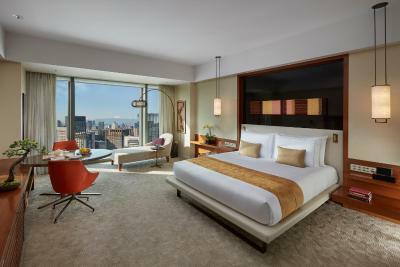 Lock in a great price for Mandarin Oriental Tokyo - rated 9.4 by recent guests. Beautiful Skyview and excellent Service. Amazing Bar. Very friendly staff. Breathtaking view - great bar. Central location with connection to the public transport. Staff was very friendly, ready to help and make stay comfortable. Location is very good. View from the room was amazing. The staff could not be nicer or more helpful. They acted towards us as if we were family. The breakfast was beyond great....something for everyone and it was all delicious.... This was not my first choice hotel but it will be now....it could not have been better !!! Fabulous service, very attentive without quite reaching overbearing. 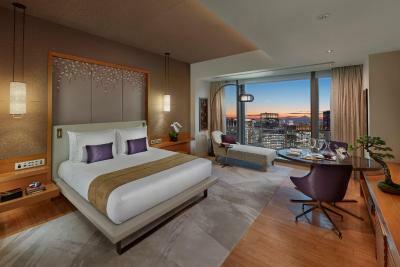 Check in on the 38th floor gives an immediate and impressive introduction to the fantastic location. Beautiful rooms. Excellent location. Ability to access the metro without going outside. Fantastic spa with the best views in the city. The best eggs benedict I’ve had to date. Attentive and knowledgeable staff. Exceptional stay for three nights. Hotel is beautifully appointed and literally next door to a metro station. 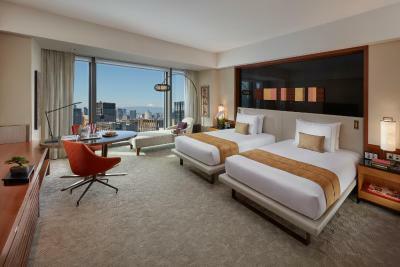 Our room was spacious with great views of the skyline including Tokyo sky garden. Bathroom and facilities in room also top notch e.g. Bose speakers and beautiful kimono for your stay. Staff were incredibly helpful (even posting postcards for us or offering to lend us gym wear for the gym). We ate at the Italian two nights and food was great. Also had drinks in the lounge bar and in the bar with live jazz music. Service and food quality was great. Concierge service was also superb and they got us s reservation at the 3 Michelin star sushi yoshitake about a month before our stay. We also used the gym which was good. Fresh towels, smoothies on tap and energy bars. Would definitely stay here again. This hotel has been awarded the TripAdvisor Travellers' Choice Award 2016 and Certificate of Excellence 2016. 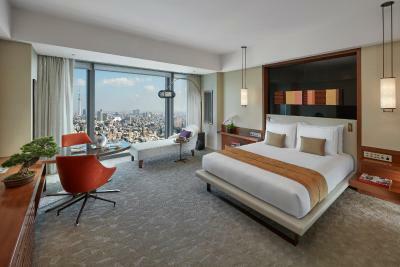 Rooms at the Mandarin Oriental Tokyo pair wide windows with chic design inspired by Japanese aesthetics. A full range of modern amenities are offered, including a satellite flat-screen TV. 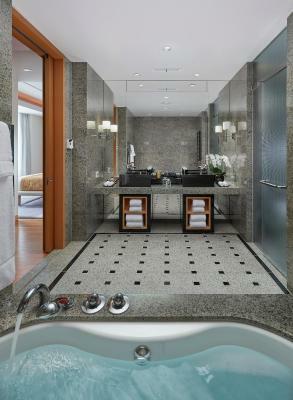 All rooms boast a sofa, seating area and desk, while bathrooms have a large bathtub and separate shower. The hotel is a 5-minute walk from Tokyo Stock Exchange and an 8-minute walk from JR Tokyo Station. 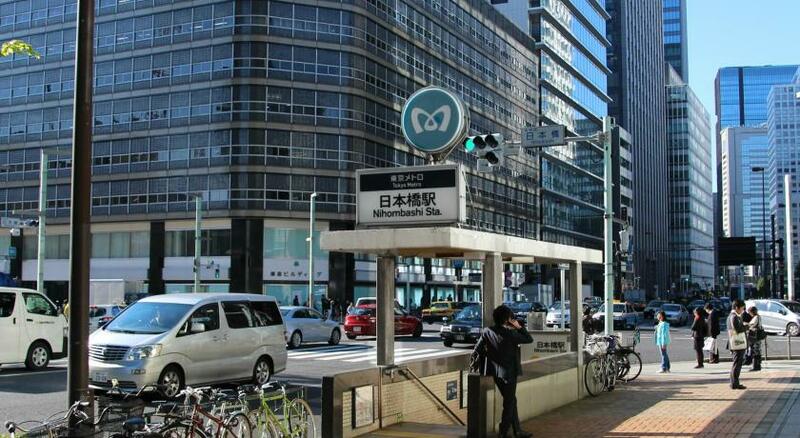 Ginza area is a 5-minute subway ride and the Imperial Palace is a 3-minute subway ride away. Akihabara Electric Town and the popular Tsukiji Fish Market are both within a 10-minute drive or taxi ride from the property. 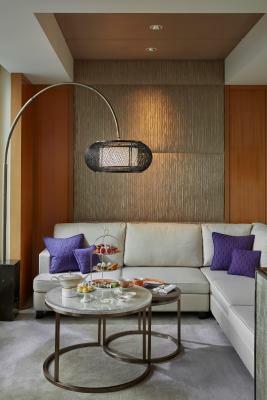 Among the hotel’s 9 dining options is Sushi Sora, offering traditional culinary experience and skyline views. Cantonese and French cuisines also tempt the tongue. Mandarin Bar pours cool cocktails. The Michelin starred Tapas Molecular Bar is open for both lunch and dinner. 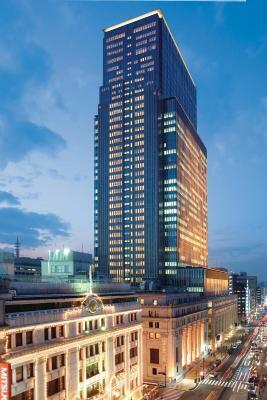 Mandarin Oriental Tokyo has been welcoming Booking.com guests since 9 Jun 2011. 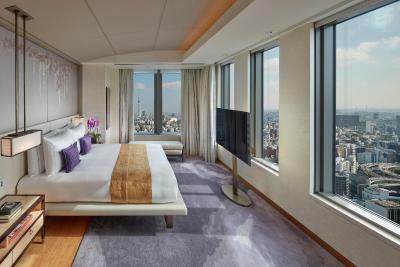 When would you like to stay at Mandarin Oriental Tokyo? Spacious rooms pair wide windows with smartly simple Japanese design. A full range of modern amenities are offered, including an iPod dock and satellite flat-screen TV. 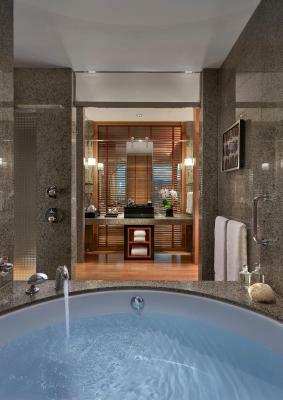 Bathrooms have a large bathtub and separate shower. Private parking is possible on site (reservation is not needed) and costs JPY 5000 per day. More spacious room on 30th-36th Floor with bamboo flooring, walk-in wardrobe. Offers beautiful city views. 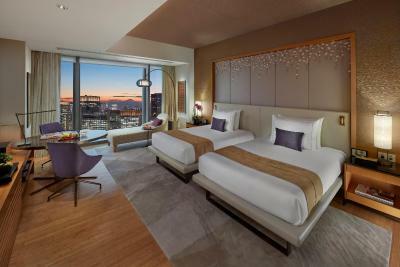 Spacious suite located on 30th-32nd Floor. Views of Tokyo Bay or Mount Fuji. Upgraded bath amenities. Wired internet is available in the hotel rooms and costs JPY 1800 per 24 hours. WiFi is available in all areas and costs JPY 1800 per 24 hours. 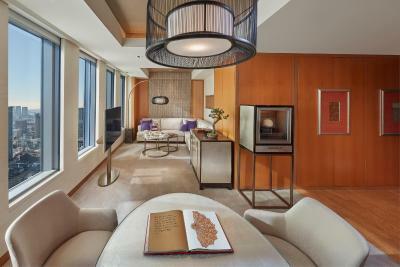 House rules Mandarin Oriental Tokyo takes special requests - add in the next step! One older child or adult is charged JPY 12420 per night in an extra bed. Mandarin Oriental Tokyo accepts these cards and reserves the right to temporarily hold an amount prior to arrival. Use of an indoor pool can be arranged, for a fee. Smoking rooms can be requested for an extra cost per night, at the time of booking. Requests will not be accepted if made upon check-in. Guests will be fined for smoking in a non-smoking room. Please contact the property directly for more details. Please note that guests with a tattoo may not be permitted to use the pool or other facilities where the tattoo might be visible to other guests. Amazing hotel. Great location and hotel facilities make my stay special. Great customer service skills by everyone. nothing. Hotel was more than perfect. Staff is not only VERY efficient but extremely nice. it is one of those hotels you are surprised with the high quality of service. They have many restaurants on property too, which I think is really helpful. the limousine bus which travels between Tokyo and Narita departs from the Hotel. That alone is amazing. High rise hotel hotel with great views (including Mount Fuji from the room), wonderful staff, great breakfast with many choices, great sauna and whole spa. We had booked an adjoining room for our 3x children which we weren't given. Made our stay difficult as my wife had to stay in their room from 8pm as they were too scared to stay in their alone. I would expect a high end hotel to cater for your requirements. Incredible hotel, facilities & staff amazing. Well-equipped rooms and house cleaning occurs twice! So your bed is ALWAYS made up. Takes the phrase customer service to a whole new level. Signature French cuisine was magnificent, as was the view from the restaurant and our room. High-end shops located in the vicinity. Oozes elegance and class. Easily my most preferred hotel in Tokyo to date. The hotel has an amazing view of Tokyo, the staff is really great and helpful. The breakfast buffet is one of the best I’ve ever had and I recommend this amazing hotel to anyone who visits Tokyo. Will definitely be back to stay again.